I just got back from a cross-country flight by myself with a 1-, 3-, and 5-year-old. That’s right. I flew from Florida to California with our 3 little ones and lived to tell the tale. I’m not sure if that makes me crazy or brave, but I did it! Naturally, some moments of the trip were a bit chaotic and stressful, but other moments were downright serene. I’ve flown by myself with kids before, but usually it’s just with one child at a time, and the flights are much shorter. (My flights with kids number in the double digits and even include a flight from Chicago to London - at least my husband was with me for that one!) This time I was staring down the barrel of a 4 hour 20 minute flight with a busy toddler plus a preschooler and kindergartener. 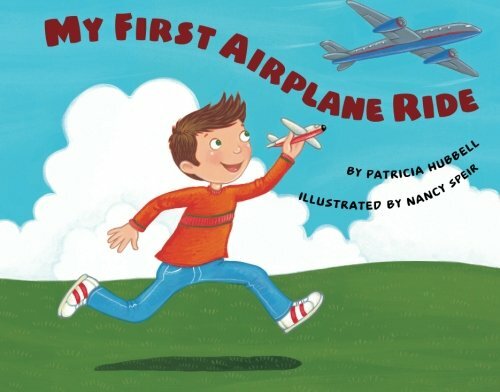 So let’s be realistic here: no matter how many articles you read about flying with toddlers and little kids, no matter how prepared you are with snacks, toys, and activities, you might still have some tough moments. That’s just parenthood, am I right? I’m simply here to pass along my best tips for flying with kids from babyhood to 5 years old and still feel somewhat sane when the plane touches terra firma. And maybe help you sneak in a few minutes of your own book or tv show while your on the flight. Maybe. My kids don’t usually get candy at home, so knowing they had a special treat to look forward to on the plane IF they behaved was great incentive (bribery? maybe). By putting the bags in their own backpacks, I was handing over the responsibility to THEM for when and how much to eat. It made them feel important and they took the responsibility very seriously. I did give them tips for rationing out their treat and snack bags, which seemed to help. 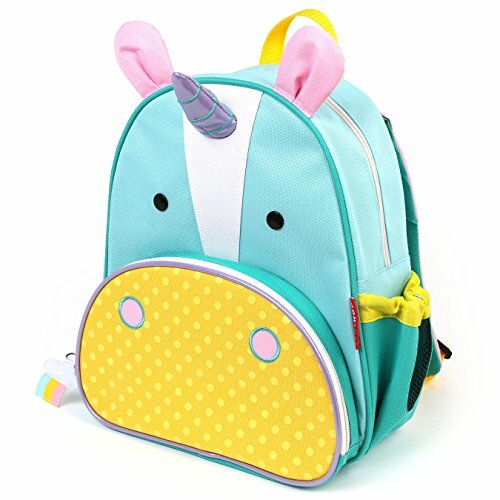 The 3- and 5-year-old each got a small animal backpack carry-on for their toys, activities, and snacks. The 1-year-old’s things went in my backpack. I packed their bags ahead of time, and didn’t tell them what was in it until the night before. (We’ll get to what I packed in a minute). 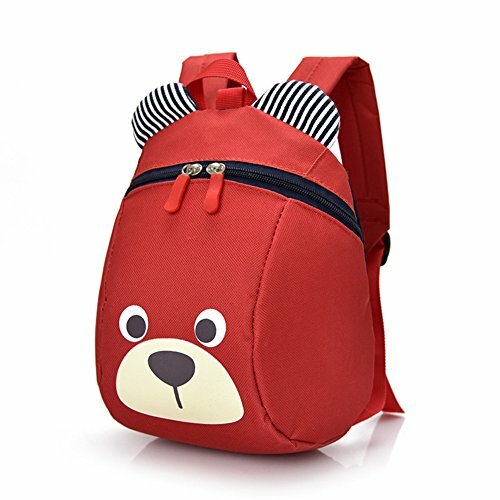 Giving your kid a small bit on responsibility, like carrying their own bag, helps them to feel somewhat in control on a day when they will be shuffled from place to place without much agency. It also helped to lighten my backpack, which was already weighed down with my laptop, camera, and book. If you’re flying at night, have each child bring a lightweight muslin blanket and a small stuffed animal. This is risky, yes. They may (probably will) lose their lovey. That’s why you don’t let them bring their favorite one. Unless you have backups waiting at home. I went back and forth on whether to rent car seats when I arrived to make my life a little easier. But I will say I was a bit concerned about what the quality of the seats would be and how expensive it would end up being for 3 car seats. I ended up bringing my own, and ordered these nylon car seat protector bags. 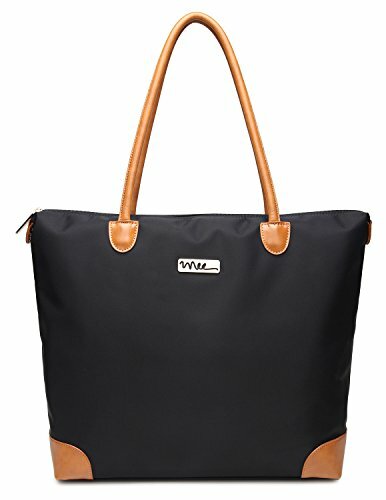 They have backpack straps and handles, making them easy to transport. 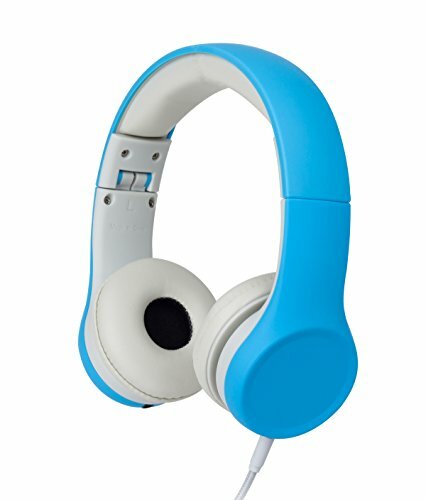 I got bright blue ones so they were easy to spot in the airport. These bags are VERY roomy, so I was able to fit my daughter’s booster seat in with one of the other carseats, which means I only had to buy and bring two bags instead of three. Most airlines will let you check car seats for free, so I checked mine right away. 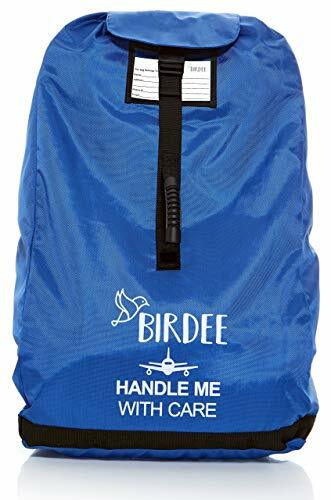 I spoke with an airline worker who told me I could easily gate check the carseats, so if you want to minimize how much the airline is handling them, you could go with that option. I just didn’t want to lug them through the entire airport since I was by myself with three kids. Another option is to actually use the car seats on the plane if you kids have ticketed seats. I was just imagining how to do that with one hand while holding a 17-month-old and decided against it for my own sanity. The stroller was my life saver. I brought a sit-and-stand stroller which kept my 1-year-old contained and also doubled as a place to put backpacks if the kids got tired. It was nice to have a spot on the stroller for my 3-year-old when we were walking long distances quickly through the airport. Most of the time he walked himself, but there were a few moments where he was tired or we needed to hustle and I let him sit. I know some prefer to put their little one in a baby carrier at the airport so that they are completely hands-free, but let me make the case for the stroller (at least in my particular situation). If you have a toddler instead of a teeny little baby, lugging him or her around in a carrier for hours at a time while trying to help your other kids could be tough. I have a LILLEbaby and LOVE it. It does not hurt my back, it’s comfortable, etc. But it’s still not easy to carry a 25 pound kid for hours. As I mentioned above, the stroller doubles as storage space. 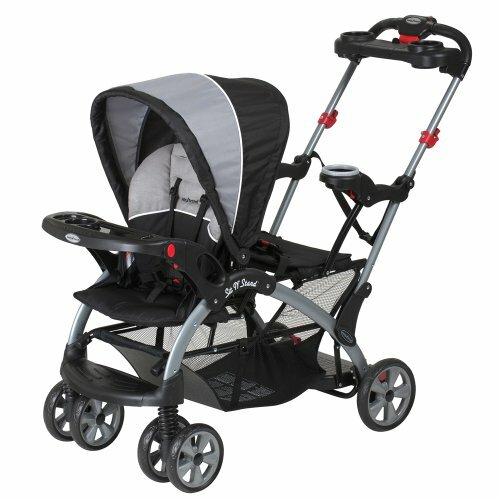 The stroller provides a “home base” for your little kids. My 3-year-old is trained to always hold onto the side of the stroller when we’re walking. 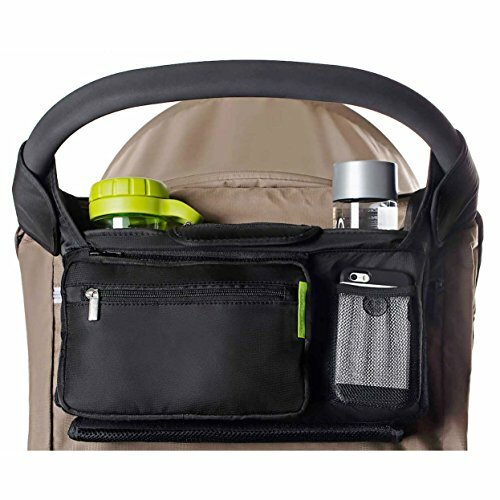 I can put my water bottle, phone, coffee, airline tickets, etc in the stroller caddy and have easy access to them while still being mostly hands-free. 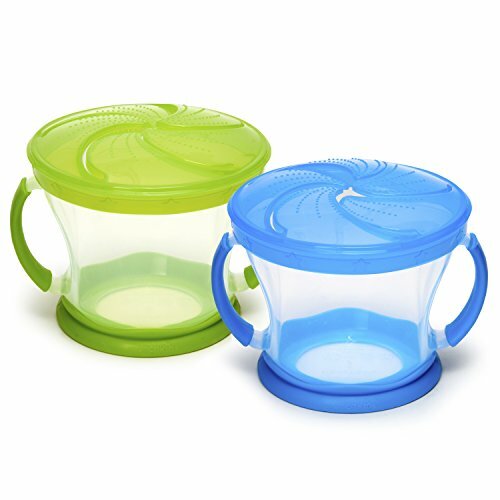 Many airlines will not have lids for their cups, so it is wise to bring your own. I was one adult caring for three kids, and the toddler is in the phase where he loves to destroy things for fun. There was no way I was going to risk letting my kids have open drinks within reach of the baby. 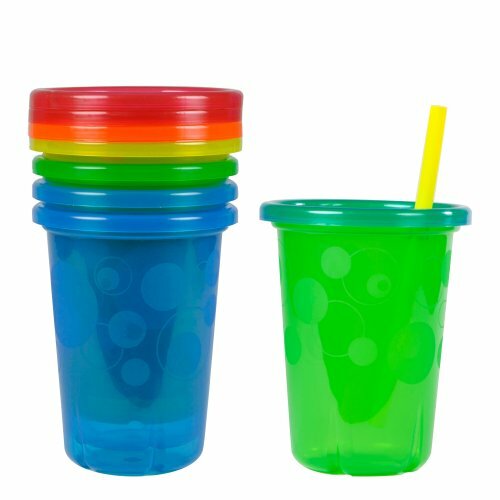 I should note here that Southwest DID have cups with lids and straws on our flight home, so that was a bonus! Don’t count on it though…better safe than sorry! I didn’t put very much in the kids’ backpacks since I knew they would need to be able to carry them. 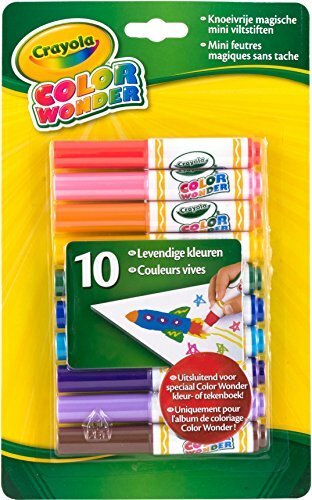 I picked out one new Crayola Color Wonder coloring book for each of them, and got them each a new set of Color Wonder markers. 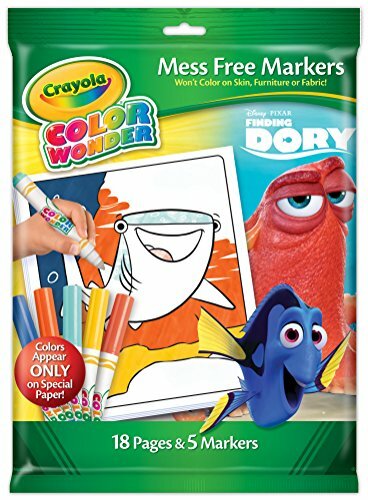 The markers only work on the special Color Wonder paper so you don’ have to worry about your kids making a mess on the airplane. A roll of masking tape. Seriously. We, like many families, limit screen time in our normal routine. May kids may watch 30-60 minutes of tv a day. We don’t do any sort of tablets, apps, or video games. But during air travel when I need to be mindful of fellow passengers? All bets are off. I charged up my husband’s and my Kindles and loaded them with Netflix downloads, Amazon Prime videos, and games. When the situation became dire and they got tired of their coloring books and snacks, it was time to pull out the tablets. 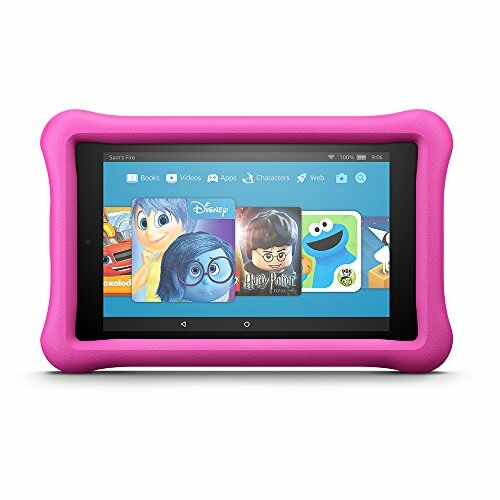 Each of the older kids got a tablet to watch or play with, along with a set of kid-friendly headphones. Honestly, if ever there were a time to relax your standards on screen time, this would be it. AND because we normally don’t let them use the tablets or play games on our phones, this felt like an extra special treat. Unfortunately, the toddler had no interest in the Kindle besides throwing it on the ground to see how much damage it would do, so I was destined to entertain him with food, empty cups, and singing nursery rhymes to him. Such is the price we pay for travel with kids. Sigh. Sometimes your one-year-old just won’t calm down and keeps shouting, “Down! Down! Down!” because he would rather be exploring the aircraft than sitting on your lap. No worries. Now is also the time to relax your standards on sugar. 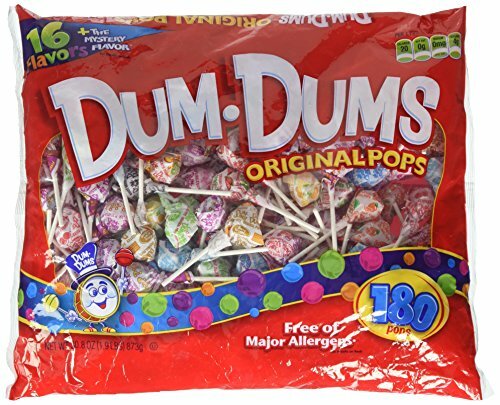 With just under an hour to spare, I had to pull out the emergency Dum Dums. 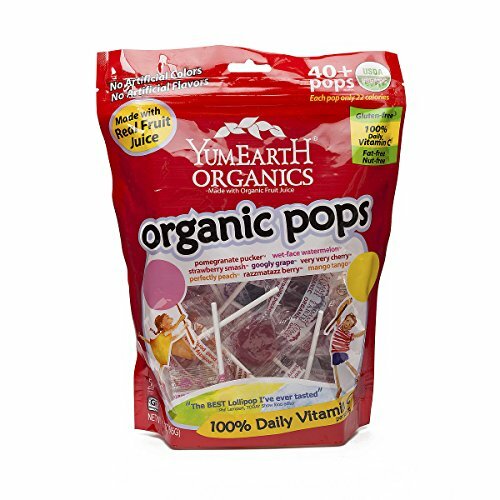 (If I were better prepared, I would have ordered the organic lollipops from Amazon, but I only remembered to pick them up the day before we left). Anyway, if you bring the lollipops, just don’t forget to have wipes handy, too. Also, lollipops are great if your child has trouble with their ears popping during takeoff or landing. Listen, guys. When you’re traveling with kids, especially when you’re by yourself, you’ll need to be really super organized when you’re packing your carry-on. You’ll probably be holding a kid or pushing a stroller at any given moment, so you need to be able to reach things with one hand. At the last minute I decided to bring a purse in addition to my backpack. Even though it was one more thing to carry, it meant that I had easy access to documents, diapers & wipes, and my phone. My laptop, camera, blankets, snacks, headphones, book, etc. all went in my backpack - things I didn’t need to access at all, or that I could get once we were all settled in on the plane. 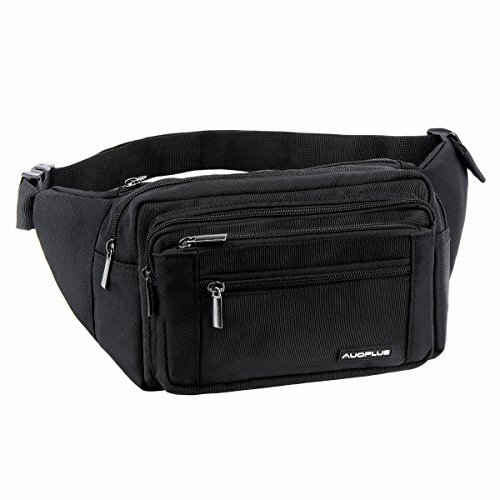 I say this with deep regret, but I believe fanny packs (waist belts? That sounds more chic.) are coming back in style. You could use this in lieu of a purse for important items. It’s really easy to get dehydrated in the air, so make sure you and your kids are drinking plenty of water in the days and hours leading up to your flight. Ideally you would continue to drink water on the flight, but the prospect of your child having a bathroom emergency when the seatbelt sign is on is daunting. I also ended up basically dehydrating myself because I didn’t want to have to go to the bathroom if all the kids were sleeping or engaged in some activity. Once the flight is over, resume drinking water like it’s your job in order to recover and avoid a headache. 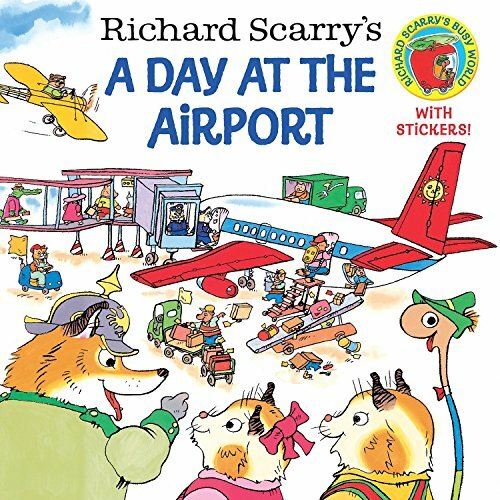 The kids and I read through a ton of children’s books about airplanes and airports in the week leading up to our trip so they would know what to expect. (They have all been on planes before, but were probably too young to remember much). I talked to them about etiquette on the airplane, being respectful of our fellow passengers, and making a special effort not to fight or whine. One thing I think I could have better prepared them for is not putting their feet on the back of the seat in front of them. It’s so hard when their little legs stick straight out, but it’s also uncomfortable for the person in front of them. I kept having to remind them, “Feet down. Feet down.” Thankfully, our fellow travelers were (mostly) very gracious about this. We also practiced acknowledging the flight attendants when they came by to offer snacks or drinks, even if it was to say no thank you. All in all, I would say the kids did a great job simply because we talked about it ahead of time! Talk to the people in front or behind and let them know you are with small children. I always assured them that I would do my best to keep the kids from kicking the seat or putting their feet on the seat, and would try to keep the noise to a minimum. Everyone was super understanding and kind. A few even offered to hold the baby when he got squirmy! I would say, though, that there’s no need to apologize just for having kids with you. No need to provide special gifts to fellow passengers. We’re all in this together, and kids are just part of society. If people don’t want to put up with them, especially with kids who are behaving well, that’s their own issue. Maybe they could upgrade themselves to first class, then. Things will go wrong. A kid will cry. You will have to change a diaper at an inopportune moment. Stay calm, and try to remember that this is just temporary, and soon enough you will either be at your destination (yay!) or safe and comfortable at home. Usually the most desperate situations make the best stories. Try to laugh it off, and accept help if someone offers it. Don’t fall into the trap of thinking that if you pack just the right items in your carry-on bag that your trip will go smoothly. You will only be disappointed and frustrated. Do take the time to have all the necessary items for a comfortable flight, but keep those expectations LOW. No wait, that’s not low enough. Lower them again. I’m not saying to have a negative attitude. Goodness, no. A positive attitude and sense of humor are the only way to survive these situations. I’m just saying to be realistic about what little kids are like when they’re thrown out of their element. No matter how well-behaved your child is. If you’re prepared for the worst, you’ll most likely be pleasantly surprised with how things go, even if there’s a meltdown or two. So that’s it! If you’re preparing for an upcoming flight with kids, you can do it! And also, if you have any helpful tips for other parents reading this, leave them in the comments. We would love to hear them. Happy travels!